We want to be so much more than just a great golf course. We want to be the place you enjoy spending time with family and friends. 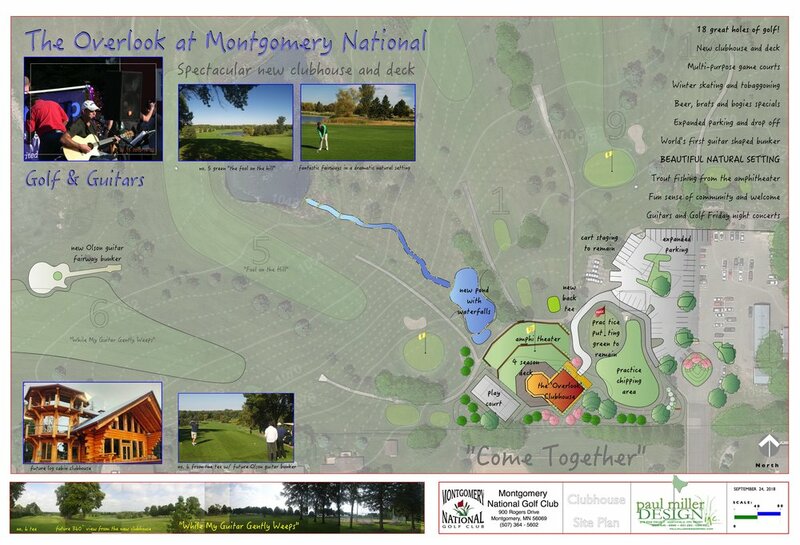 Plans are underway for a spectacular new clubhouse, amphitheater, multi-purpose game courts and more! With a futuristic log cabin clubhouse and the world’s first guitar-shaped Olson guitar shaped bunker, we’re combining our passion of golf and music to provide a unique experience you’ll remember long after your last putt on 18. Want to be the first to know when new cool things are happening here at MNGC & be entered to win monthly drawings? Don’t worry, we like you too much to share or sell our list. All emails kept strictly confidential. CONNECT WITH US. WE LOVE OUR CUSTOMERS.